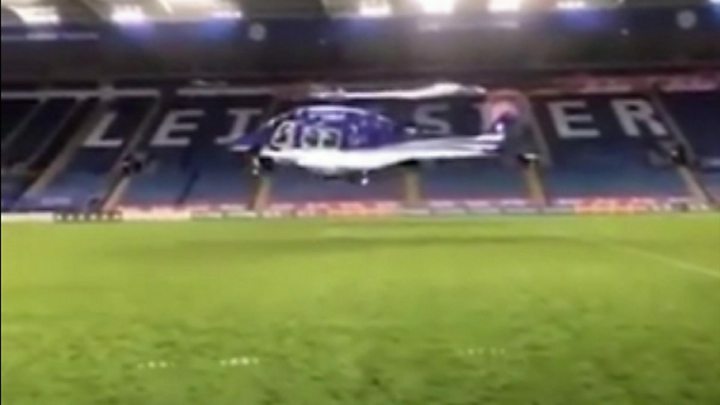 The helicopter that crashed outside Leicester City’s stadium, killing five people, did not respond to the pilot’s command, initial findings show. 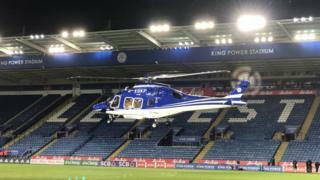 Club chairman Vichai Srivaddhanaprabha and four others died when the aircraft came down after a match on 27 October. The Air Accidents Investigation Branch (AAIB) said the helicopter started to turn right “contrary to the pilot’s left pedal command”. It added the cause of the apparent loss of control is still being investigated. Widely shared video footage, taken inside the stadium, shows the AgustaWestland AW169 climbing normally for about 40 seconds, before it pauses and goes into a downward spin. Safety checks have been ordered on helicopters of a similar design to the one involved in the crash, and an investigation of the tail rotor control system is being “carried out as a priority”. In a Special Bulletin, the AAIB said the helicopter embarked on its first flight of the day from Fairoaks Airport in Surrey with the pilot and one passenger on board. It later landed at London Heliport in Battersea where three more passengers boarded. 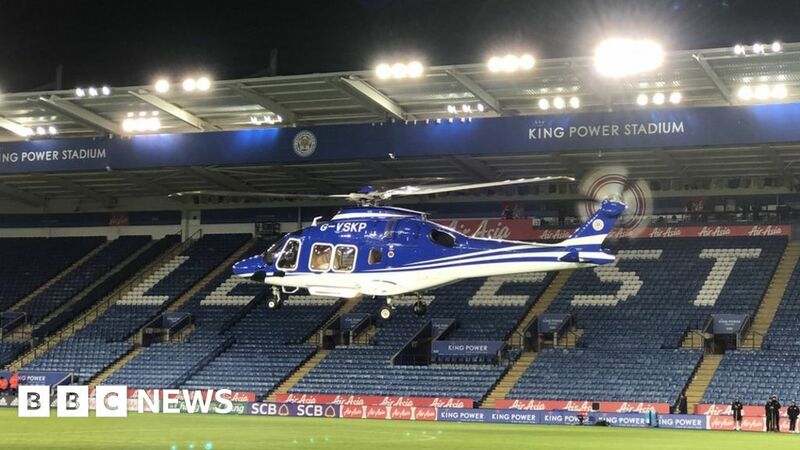 The aircraft then flew to the Belvoir Drive Training Ground in Leicester and those on board went to the King Power Stadium. The pilot and one passenger then went back to the training ground and flew the aircraft back to the stadium. Five people in total – Mr Vichai, two members of his staff, Kaveporn Punpare and Nusara Suknamai, pilot Eric Swaffer and passenger Izabela Roza Lechowicz – then boarded the aircraft which was due to fly to Stansted Airport. After taking off, the helicopter “entered an increasing right yaw contrary to the pilot’s left pedal command”. Yaw is the ability of a vehicle to rotate from left to right. It reached an estimated height of 430ft (121.9m) before it descended and crashed in an “approximately upright position”. An inquest heard there was “minimal chance” for anyone on board the helicopter to survive.